What would happen if you optimized a data store for the operations application developers to actually use? You'd arrive at MongoDB, the reliable document-oriented database. In this webcast presentation by Steve Francia, author of MongoDB and PHP, you will learn how to build elegant database applications with MongoDB and PHP. Steve is the Chief Solutions Architect at 10gen where he leads the drivers, integrations, web and docs teams and is responsible for the MongoDB user experience. Prior to 10gen Steve led engineering at OpenSky, a social commerce website in NYC. His previous roles include CIO/COO at Portero, VP of Development at Takkle and Founder & CTO of Supernerd. Steve is a long time contributor to open source contributing to many projects including MongoDB, Doctrine and Symfony2. He likes to code in Vim and maintains a popular Vim distribution. Steve is a popular speaker on the conference circuit speaking internationally on a variety of topics including cloud computing, big data, e-commerce, development and of course, MongoDB. He is a published author, syndicated blogger (spf13.com) and frequently contributes to industry publications. 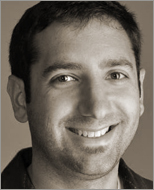 Steve's work has been featured by the New York Times, Guardian UK, Mashable, ReadWriteWeb and more.